What keeps Costa Rica so green? Countries all over the world look to Costa Rica as a shining example of ecotourism and green travel. How did it earn this lofty green reputation? Beyond catchy PR slogans such as “No Artificial Ingredients”, the path to ecotourism success has taken careful planning and smart building. Costa Rica’s policy-makers have been thinking ahead about their country’s ecological potential for decades. They famously fought of loggers and cattle industry moguls in the 1980s, while neighboring Central American countries saw dramatic deforestation. Today the country runs entirely on renewable energy. 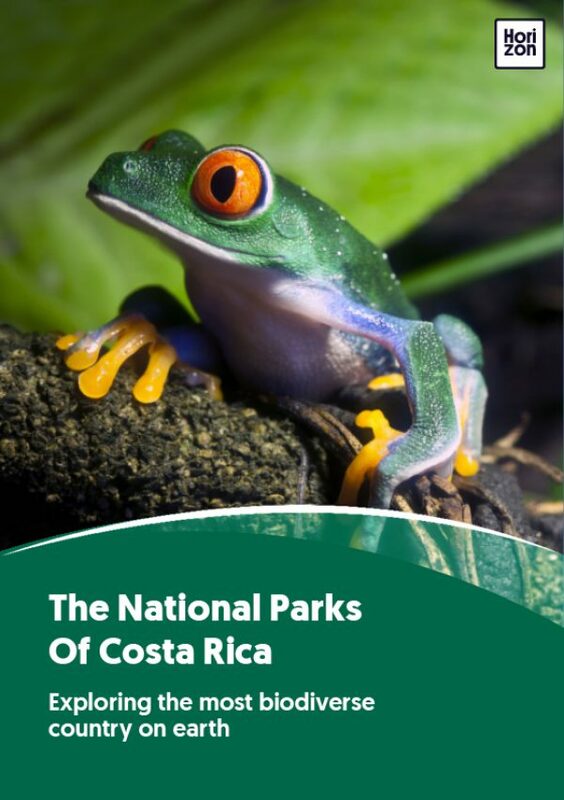 Costa Rica takes great pride in its national parks system. A grand total of 26 parks cover an astounding 25% of the country’s land mass. The first national park, Poas Volcano National Park, was established in 1955. Today, Costa Rica’s elementary school kids learn about the national park system at an early age and a sense of stewardship for these protected areas is ingrained into their education. The Costa Rica Tourist Board rewards businesses for good green practices through its Certification for Sustainable Tourism (CST) program. This program grades hotels and other travel providers on criteria such as planting of trees, smart use of resources, customer education, use of biodegradable materials, and waste reduction. Look for the leafy green CST logo on your hotel and tour operators’ websites to know they’ve aced this important certification. Costa Rica is home to some of the most famous and successful ecolodges in the world. Check in to a lodge that has gone out of its way to preserve its surroundings, celebrate local culture, and employ local staff. Many run on-site organic farms, which supply their restaurants. Ecolodges here were some of the first in the world to prove that ‘eco’ and ‘luxury’ can go hand-in-hand--for a price, you’ll find five-star amenities in harmony with the rainforests and coastal ecosystems. Nature Air, based in San Jose, is the world’s first carbon-neutral airline. How does it manage that? They’ve created an offset mechanism where the airline tallies up its emissions and compensates a corresponding amount in donations to the Ministry of the Environment. This funds conservation of the rainforests on the Osa Peninsula. The airline has also taken radical measures toward better fuel efficiency, using 90% biofuel for its ground vehicles. Breathe easy that your domestic flight on Nature Air has the softest footprint possible. At the end of the day, it’s up to visitors themselves to decide how green their trip will be. Happily, Costa Rica tends to attract the kind of visitors that care about their impact on a place. You can make sure your visit makes a positive impact by choosing your hotels and operators carefully. Ask questions and check certifications! When you’re out immersing yourself in Costa Rica’s natural wonders, tread lightly and leave no trace. Off-trail hiking is prohibited. Keep a respectful distance from wildlife. Remember to treat all the stops on your itinerary as the fragile ecosystems that they are. Handle with care!